The Fondation Louis Vuitton is presenting the exhibition “Art/Afrique, le Nouvel Atelier” from April 26 to August 28, 2017. The three-part exhibition spotlights lesser known elements of the thriving African arts scene with a series of fresh perspectives on artistic creativity and artists through an extensive choice of works. 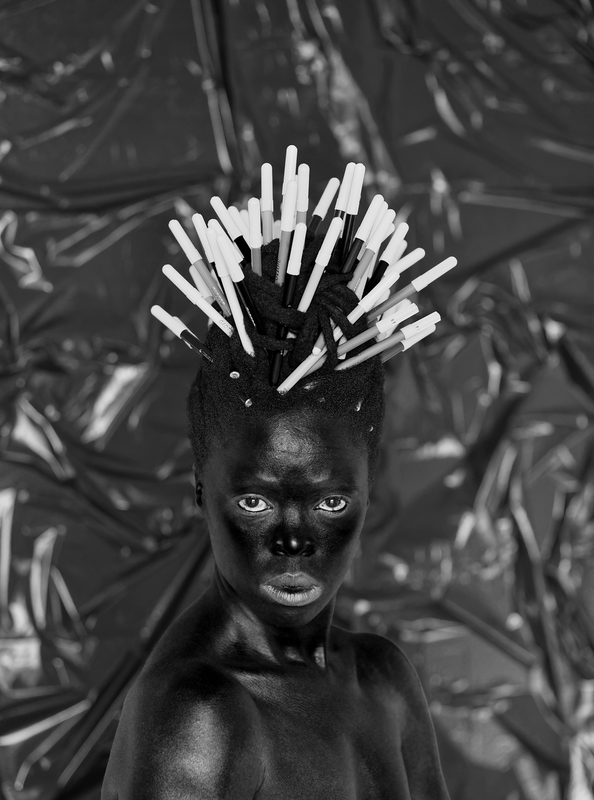 The section called “The Insiders” brings together selected works by fifteen iconic artists from the contemporary African art collection of Jean Pigozzi, displayed for the first time in Paris. In collaboration with André Magnin, Jean Pigozzi began building this unique collection expressing bold statements in 1989. Influenced by spiritual, scientific and technical traditions, the artists express themselves through a variety of forms and media, creating a significant body of work that spurs awareness of a heretofore little-known art scene. The Foundation is also presenting “Being There”, a group exhibition of works by artists from South Africa who represent a new form of social activism. With the emergence of growing involvement in contemporary art by galleries and universities, South Africa enjoys one of the most dynamic scenes on the continent today. 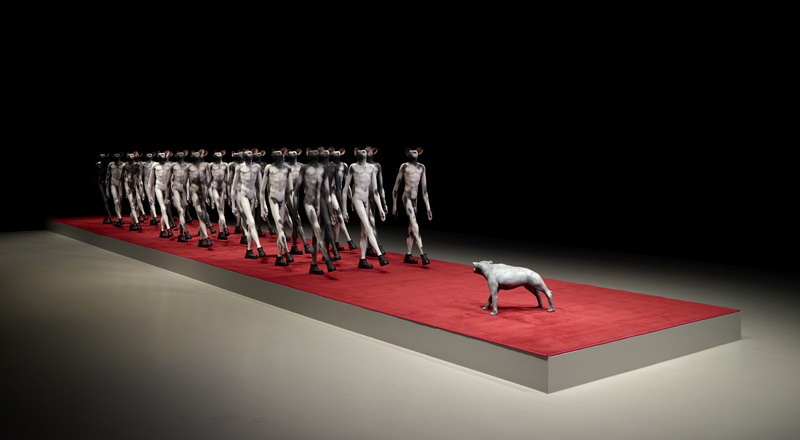 This section features seventeen artists, spanning both prominent South African artists such as Jane Alexander and William Kentridge, along with artists born in the 1980s whose work examines contemporary issues more than 20 years after the end of apartheid. 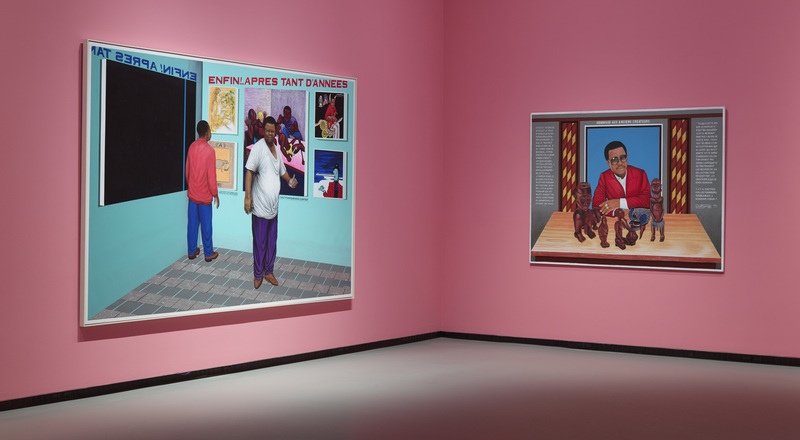 The third section features selected works from the Fondation Louis Vuitton Collection, presenting African artists and artists whose creations engage with the African continent. A special program of events is scheduled in conjunction with the exhibition centered on music, poetry, literature and film. 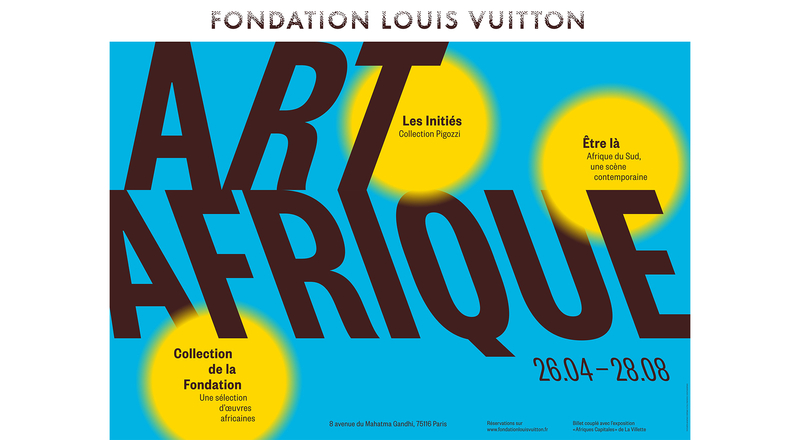 For this event the Fondation Louis Vuitton is joining La Grande Halle de La Villette to offer tickets valid for both the “Art/Afrique, le Nouvel Atelier” exhibition and “Afriques Capitales” at La Villette. – Monday through Thursday 12pm to 7pm. Friday from 12pm to 9pm and until 11pm on the first Friday of each month. Saturday and Sunday from 11am to 8pm.